This collective book provides a review of research concentrated on runaway electron beams and X-rays in an inhomogeneous electric field with different gases at increased pressure. Attention is also given to supershort avalanche electron beam (SAEB) in the optimal conditions. New experimental techniques and equipment, including those with picosecond time resolutions, were required for diagnostics of electrical and optical signals. The book consists of twenty-four chapters, some of which were written jointly by researchers of different teams. Some chapters consider the range of SAEB applications. 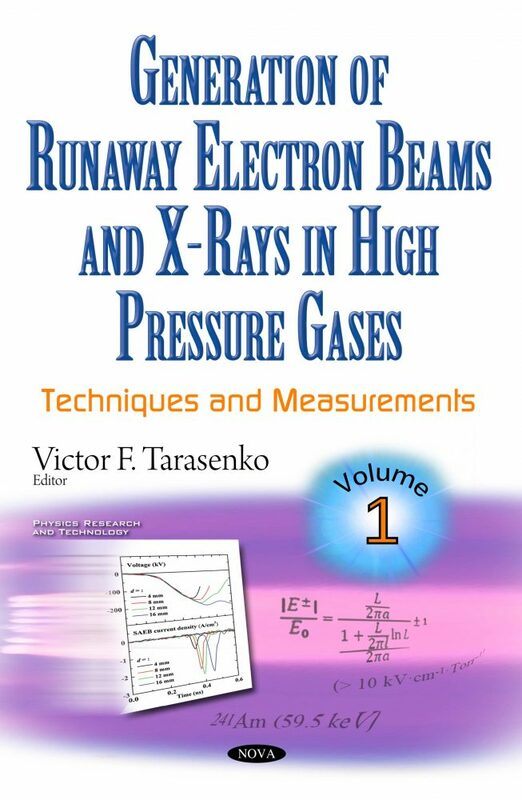 The book is written for scientists involved in the study of runaway electrons, X-rays and pulsed discharges in gases at high pressure, as well as for undergraduate and graduate students. The book сan be useful for application of electron beams, X-rays, and discharges in gases at high pressure in different fields.